their names known only unto God. 100 years ago today, on May 3, 1915 John McCrae wrote ‘In Flanders Fields’ amidst the carnage of the 2nd battle of Ypres. It was during this battle that Canadians fought through poison gas, the first troops in the British Expeditionary Force to be directly attacked by Germany’s sinister new but illegal weapon, to make an heroic stand in the defence of the town of Ypres. It was the 1st Canadian Division’s ( at that time the only Canadian Corps) first major action on the Western Front. They held their line through a baptism of fire forging an unshakable esprit-de-corp., bonds that would bear the weight of new glories to come at Vimy Ridge and the 3rd battle of Ypres Passchendaele. 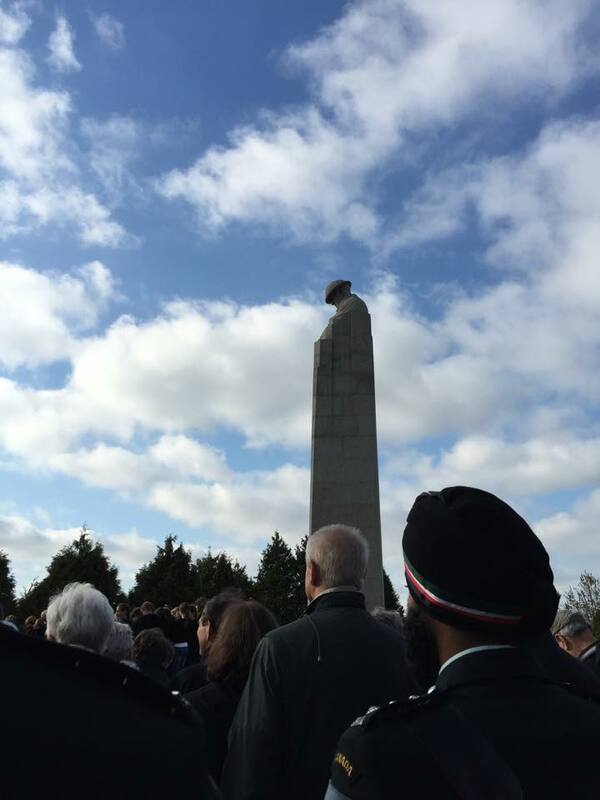 Many of Canada’s brave sons lost their tomorrows in those fields in Flanders, where the poppies now grow – but through their sacrifice they gained a reputation as tough resolute soldiers and paved the way for a proud Canada to announce its arrival on the world stage. Today, Canada will remember the events of 2nd Ypres and the soldier poet through the unveiling of new statue of John McCrae at the National Artillery Memorial on Green Island, Ottawa. In sacred fields of tomorrows lost, lie sons of a foreign soil, where the poppies blow, desolate but known unto God. AMBALA : BAKHTAWAR SINGH,31st Punjabis,Sepoy,4074,47th Sikhs, OF SOHALI, KHARRAR, AMBALA, PUNJAB. DEYA SINGH,15th Ludhiana Sikhs,Sepoy,210, SON OF BIR SINGH, OF TAPPARIAN, RUPAR, AMBALA, PUNJAB. INDAR SINGH,47th Sikhs,Sepoy,1637, SON OF GOPAL SINGH, OF PANJOKHRA, AMBALA, PUNJAB. JAHANGIR KHAN,18th Indian Infantry,Havildar,1184, SON OF HAKIM ALI KHAN, OF BHABNARAH, ROPAR, AMBALA, PUNJAB. KARTAR SINGH,14th King George’s Own Ferozepore Sikhs,Sepoy,4589,15th Ludhiana Sikhs, SON OF CHATTAR SINGH, OF RAIPUR, KHARAR, AMBALA, PUNJAB. MUNSHI KHAN,18th Indian Infantry,Havildar,1260, SON OF IMAMUDDIN KHAN, OF BAIRAKH, KHARAR, AMBALA, PUNJAB. NIZAMDIN KHAN,18th Indian Infantry,Sepoy,1855, SON OF GULAB KHAN, OF KEKAVT, ROPAR, AMBALA, PUNJAB. AMRITSAR: BADHAWA SINGH,Queen Victoria’s Own Corps of Guides Infantry (F.F.) (Lumsden’s),Jemadar, ,57th Wilde’s Rifles(Frontier Force), SON OF GURMUKH SINGH, OF PANDORI RANSI, TARN TARAN, AMRITSAR, PUNJAB. 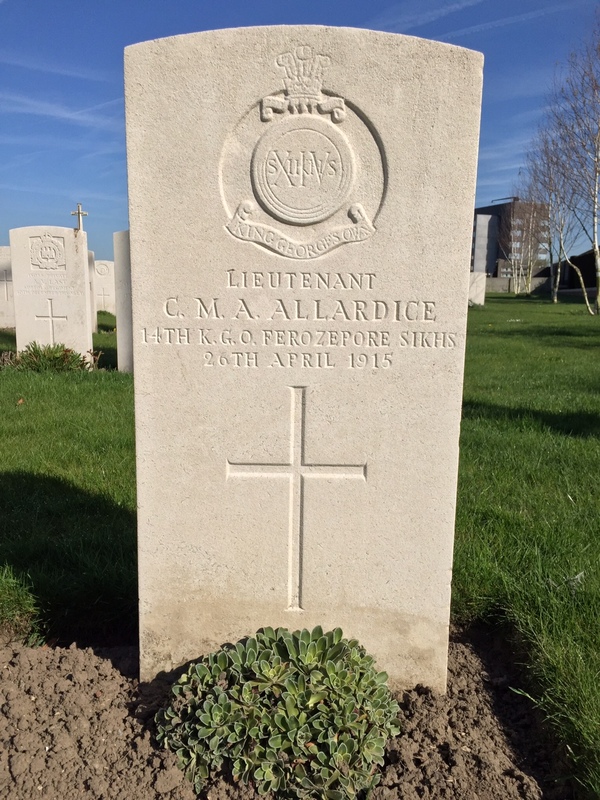 BELA SINGH,57th Wilde’s Rifles (Frontier Force),Sepoy,2507, SON OF ATAR SINGH, OF RAYA KHURD, AMRITSAR, PUNJAB. BHAGAT SINGH,Queen Victoria’s Own Corps of Guides Infantry (F.F.) (Lumsden’s),Sepoy,5140,57th Wilde’s Rifles(Frontier Force), SON OF HAKIM SINGH, OF GALA PANDORI, TARN TARAN, AMRITSAR, PUNJAB. FATEH SINGH,Queen Victoria’s Own Corps of Guides Infantry (F.F.) (Lumsden’s),Sepoy,257,57th Wilde’s Rifles(Frontier Force), SON OF SUDH SINGH, OF LALPUR, TARN TARAN, AMRITSAR, PUNJAB. HARNAM SINGH,47th Sikhs,Sepoy,1896, SON OF JAGAT SINGH, OF KASEL, TARN TARAN, AMRITSAR, PUNJAB. JAGAT SINGH,57th Wilde’s Rifles (Frontier Force),Sepoy,3284, SON OF HAKIM SINGH, OF ADHIWALA, AGNALA, AMRITSAR, PUNJAB. JANMEJA SINGH,57th Wilde’s Rifles (Frontier Force),Havildar,2397, SON OF KATHA SINGH, OF CHUBAL, TARN TARAN, AMRITSAR, PUNJAB. SHAM SINGH,35th Sikhs,Naik,1623,47th Sikhs, SON OF CHET SINGH, OF KHUTRA, AJNALA, AMRITSAR, PUNJAB. SOHAN SINGH,47th Sikhs,Havildar,606, SON OF PANJAB SINGH, OF MAKHOWAL, AJNALA, AMRITSAR, PUNJAB. SURAIN SINGH,47th Sikhs,Havildar,1048, SON OF LEHNA SINGH, OF KALA, TARN TARAN, AMRITSAR, PUNJAB. ATTOCK: HAQ NAWAZ,57th Wilde’s Rifles (Frontier Force),Sepoy,3590, SON OF MUHAMMAD KHAN, OF TRAP, TALAGANG, CAMPBELLPUR, PUNJAB. KHAN ZAMAN,57th Wilde’s Rifles (Frontier Force),Sepoy,3318, SON OF MIAN MUHAMMAD, OF DHERMOND, TALAGANG, CAMPBELLPUR, PUNJAB. KIRPA SINGH,57th Wilde’s Rifles (Frontier Force),Jemadar, OF BANGOLI, HARIPUR, CAMPBELLPUR, PUNJAB. FIROZPUR: JAIMAL SINGH,35th Sikhs,Sepoy,3389,47th Sikhs, SON OF NANAK SINGH, OF TURKI KHEL, KHYBEE, FIROZPUR, PUNJAB. KAMMAU KHAN,18th Indian Infantry,Sepoy,2751, SON OF JUMMA KHAN, OF BARWARI, ZIRA, FIROZPUR, PUNJAB. NUR MUHAMMAD KHAN,18th Indian Infantry,Sepoy,2718, SON OF PIR BAKHSH, OF GHODELWALA, FIROZPUR, PUNJAB. SUCHE KHAN,18th Indian Infantry,Sepoy,2741, SON OF JALU KHAN, OF THAMAN, MOGA, FIROZPUR, PUNJAB. GUJRANWALA: JAGAT SINGH,57th Wilde’s Rifles (Frontier Force),Sepoy,3516, SON OF NARAYAN SINGH, OF KALOKE, KHANGA DOGRA, GUJRANWALA, PUNJAB. MALA SINGH,19th Punjabis,Lance Naik,662,15th Ludhiana Sikhs, SON OF MIHAN SINGH, OF CHANDIANWALI, KHANGAH DOGRAN, GUJRANWALA, PUNJAB. SUNDAR SINGH,47th Sikhs,Havildar,422, SON OF GANDA SINGH, OF MATTA, GUJRANWALA, PUNJAB. GUJRAT:PIARA SINGH,40th Pathans,Sepoy,4806, SON OF CHARTA, OF KOTLI, GUJRAT, PUNJAB. GURDASPUR: CHET SINGH,32nd Sikh Pioneers,Sepoy,4593,34th Sikhs, SON OF DALEL SINGH, OF CHAK SARIR, GURDASPUR, PUNJAB. HARNAM SINGH,55th Coke’s Rifles (Frontier Force),Sepoy,2379,57th Wilde’s Rifles(Frontier Force), SON OF KHUSHAL SINGH, OF DHARIWAL, BATALA, GURDASPUR, PUNIAB. JAGAT SINGH,45th Rattray’s Sikhs,Sepoy,1053,15th Ludhiana Sikhs, SON OF CHANDA SINGH, OF GILLAN WALI, BATALA, GURDASPUR, PUNJAB. KEHR SINGH,57th Wilde’s Rifles (Frontier Force),Naik,2672, SON OF NAR SINGH, OF SOGI, SHAKAR GARH, GURDASPUR, PUNJAB. HISAR: MALUK SINGH,15th Ludhiana Sikhs,Sepoy,752, SON OF PHUMAN SINGH, OF TAKHAT, SIRSA, HISSAR, PUNJAB. HOSHIARPUR: MAL SINGH,34th Sikh Pioneers,Havildar,1607, SON OF DIWAN SINGH, OF MASITPALKOT, GARHDEWALA, HUSHIARPUR, PUNJAB. MUL SINGH,47th Sikhs,Sepoy,2212, SON OF HIRA SINGH, OF MADIANI, GARHSHANKAR, HUSHIARPUR, PUNJAB. TEJA SINGH,34th Sikh Pioneers,Sepoy,3059, SON OF SANT SINGH, OF TAHLI, URMAR TANDA, HUSHIARPUR, PUNJAB. UMAR DIN KHAN,18th Indian Infantry,Sepoy,2472, SON OF BUTA KHAN, OF KALUBAHAR, HUSHIARPUR, PUNJAB. JULLUNDUR: AMAR SINGH,21st Punjabis,Sepoy,4944,9th Bhopal, SON OF ACHEL SINGH, OF FATEHPUR, JULLUNDUR, PUNJAB. BADAN SINGH,36th Sikhs,Sepoy,2556,47th Sikhs, SON OF PREM SINGH, OF KANDOLA, JULLUNDUR, PUNJAB. CHAGAT SINGH,47th Sikhs,Havildar,277, SON OF LAL SINGH, OF RERAM, NAKODAR, JULLUNDUR, PUNJAB. HARI SINGH,35th Sikhs,Sepoy,3025,47th Sikhs, SON OF INDAR SINGH, OF HAPPU WAL, NAWAN SHAHAR, JULLUNDUR, PUNJAB. KISHN SINGH,Indian Army,Sepoy,577, SON OF SUNDAR SINGH, OF BAL KHURD, OGHI, JULLUNDUR, PUNJAB. SEWA SINGH,47th Sikhs,Sepoy,2065, SON OF WAZIR SINGH, OF BAL NAKODAR, JULLUNDUR, PUNJAB. SUCHET SINGH,19th Punjabis,Sepoy,1301,15th Ludhiana Sikhs, SON OF ISAR SINGH, OF MANKO, JULLUNDUR, PUNJAB. JHELUM: ALLAH DITTA,40th Pathans,Sepoy,2926, SON OF MEHDI KHAN, OF KATIAM, JHELUM, PUNJAB. JAWAN KHAN,40th Pathans,Sepoy,3830, SON OF SHARAF DIN, OF BAROR, JHELUM, PUNJAB. KARAM ILAHI,40th Pathans,Lance Naik,3922, SON OF NUR DIN, OF CHAK JALO, JHELUM, PUNJAB. KANGRA: GURDIAL,57th Wilde’s Rifles (Frontier Force),Sepoy,2570, OF CHHUMI PALAMPUR, KANGRA, PUNJAB. RANJA SINGH,57th Wilde’s Rifles (Frontier Force),Havildar,187, OF BARIAL, KANGRA, PUNJAB. LAHORE: HARNAM SINGH,47th Sikhs,Sepoy,212, SON OF SHER SINGH, OF MARI, LAHORE, PUNIAB. SONE KHAN,18th Indian Infantry,Sepoy,2498, SON OF BHAGGA KHAN, OF LILIANI, KASUR, LAHORE, PUNJAB. LUDHIANA: BISHN SINGH,Queen Victoria’s Own Corps of Guides Infantry (F.F.) (Lumsden’s),Sepoy,4972,57th Wilde’s Rifles(Frontier Force), SON OF NATHA SINGH, OF BHAI KI MALSIAN, JAGRAON, LUDHIANA, PUNJAB. INDAR SINGH,Queen Victoria’s Own Corps of Guides Infantry (F.F.) (Lumsden’s),Sepoy,370,57th Wilde’s Rifles(Frontier Force), SON OF JAIMAL SINGH, OF SUJANPUR, JAGRAON, LUDHIANA, PUNJAB. MAKHE KHAN,18th Indian Infantry,Lance Naik,1848, SON OF NATHU KHAN, OF DHANAULA, LUDHIANA, PUNJAB. PARTAB SINGH,31st Punjabis,Naik,3394,47th Sikhs, OF BAGROR, SAMRALA, LUDHIANA, PUNJAB. PARTAB SINGH,35th Sikhs,Sepoy,2662,47th Sikhs, SON OF DHYAN SINGH, OF GULAB, JAGRAON, LUDHIANA, PUNJAB. SANTA SINGH,15th Ludhiana Sikhs,Havildar,4273, SON OF SAWAI SINGH, OF LALTON BADI, LUDHIANA, PUNJAB. SOBHA SINGH,15th Ludhiana Sikhs,Sepoy,273, SON OF HAZARA SINGH, OF PHALEWAL, LUDHIANA, PUNJAB. MIRPUR: SUCHET SINGH,40th Pathans,Sepoy,3815, SON OF SAHIB SINGH, OF BATALA, BHIMBER, MIRPUR, JAMMU. PATIALA: BAGA SINGH,47th Sikhs,Sepoy,568, SON OF THAMMAN SINGH, OF LADHA, DHURI, PATIALA, PUNJAB. BHAGGU KHAN,18th Indian Infantry,Sepoy,1916, SON OF RUHELA KHAN, OF CHAK, BARNALA, PATIALA, PUNJAB. CHUR SINGH,55th Coke’s Rifles (Frontier Force),Sepoy,2035,57th Wilde’s Rifles(Frontier Force), SON OF RAMDIT SINGH, OF NAURA, MALOH, NABHA STATE, PUNJAB. GANDA SINGH,47th Sikhs,Sepoy,697, SON OF KHAZAN SINGH, OF THULIWAL, DHURI, PATIALA, PUNJAB. ISHAR SINGH,57th Wilde’s Rifles (Frontier Force),Sepoy,2724, SON OF MOTI SINGH, OF SANGAT, BHATINDA, PATIALA, PUNJAB. JIWAN KHAN,18th Indian Infantry,Sepoy,2473, SON OF ISMAIL KHAN, OF DORAHA, PAYAL, PATIALA, PUNJAB. MAGHAR SINGH,14th King George’s Own Ferozepore Sikhs,Sepoy,978,15th Ludhiana Sikhs, SON OF SUHEL SINGH, OF SANDOHA, BHATINDA, PATIALA, PUNJAB. RAJA SINGH,31st Punjabis,Sepoy,4298,47th Sikhs, SON OF LEHNA SINGH, OF KHERI, BANAUR, PATIALA, PUNJAB. SANTA SINGH,55th Coke’s Rifles (Frontier Force),Sepoy,2524,57th Wilde’s Rifles(Frontier Force), SON OF PREM SINGH, OF HINDIAYA, BARNALA, PATIALA, PUNJAB. SHADI KHAN,18th Indian Infantry,Sepoy,2466, SON OF BARKAT KHAN. OF THADRA, DHANAULA, NABHA, PUNJAB. WARYAM SINGH,47th Sikhs,Havildar,462, SON OF DIWAN SINGH, OF UPLI, DHODE, PATIALA, PUNJAB. RAWALPINDI : AMIR ALI,57th Wilde’s Rifles (Frontier Force),Sepoy,3366, SON OF RAJ WALI, OF SKOT, KAHUTA, RAWALPINDI, PUNJAB. FATEH-JANG,57th Wilde’s Rifles (Frontier Force),Subadar, HUSBAND OF NUR BEGUM, OF MATOR VILLAGE, KAHUTA, RAWALPINDI. GUL KHAN,40th Pathans,Sepoy,3087, SON OF PUR BAKHSH, OF GUFF, KAHUTA, RAWALPINDI, PUNJAB. HARI SINGH,57th Wilde’s Rifles (Frontier Force),Havildar,2126, OF JHANGI JALAL, GUJAR KHAN, RAWALPINDI, PUNJAB. MEHR KHAN,40th Pathans,Lance Naik,3821, SON OF AMIR KHAN, OF RUKA BHARTH, RAWALPINDI, PUNJAB. NATHA KHAN,40th Pathans,Sepoy,3765, SON OF FAUJDAR KHAN, OF MOARA, KAHUTA, RAWALPINDI, PUNJAB. ZAMAN ALI,40th Pathans,Bugler,3967, SON OF JAFAR, OF MATORE, KAHUTA, RAWALPINDI, PUNJAB. SANGRUR: SANT SINGH,Queen Victoria’s Own Corps of Guides Infantry (F.F.) (Lumsden’s),Sepoy,252,57th Wilde’s Rifles(Frontier Force), SON OF HIRA SINGH, OF KHERI KHURD, DHURI, PATIALA STATE, PUNJAB. SIALKOT: BUTA SINGH,35th Sikhs,Sepoy,3263,47th Sikhs, SON OF KYANHAIYA SINGH, OF POONG TALWANDI, RAIYA, SIALKOT, PUNJAB. DEWA SINGH,47th Sikhs,Sepoy,1597,SON OF NIHAL SINGH, OF KAPURWALI, SIALKOT, PUNJAB. LAL SINGH,47th Sikhs,Sepoy,1679, SON OF CHET SINGH, OF GUJARKE, DASKA, SIALKOT, PUNJAB. SUNDAR SINGH,35th Sikhs,Sepoy,3418,47th Sikhs, SON OF JHANDA SINGH, OF SADHAR WALI, ZAFFAR WAL, SIALKOT, PUNJAB. SUNDAR SINGH,35th Sikhs,Sepoy,2646,47th Sikhs, SON OF GANDA SINGH, OF SALLOKI, DASKA, SIALKOT, PUNJAB. In Remembrance in the comments section below this post, lets each respectfully salute the men of the village/ tehsils closest to our ancestral homes. As the world remembers its fallen, please share this post with your friends to join us in honouring our Punjabi forefathers who gave their lives for the freedoms and democracies we enjoy today. The names of 54,405 British commonwealth soldiers lost without a trace during the defence of Ypres in WW1 are memorialised at the Menin Gate. 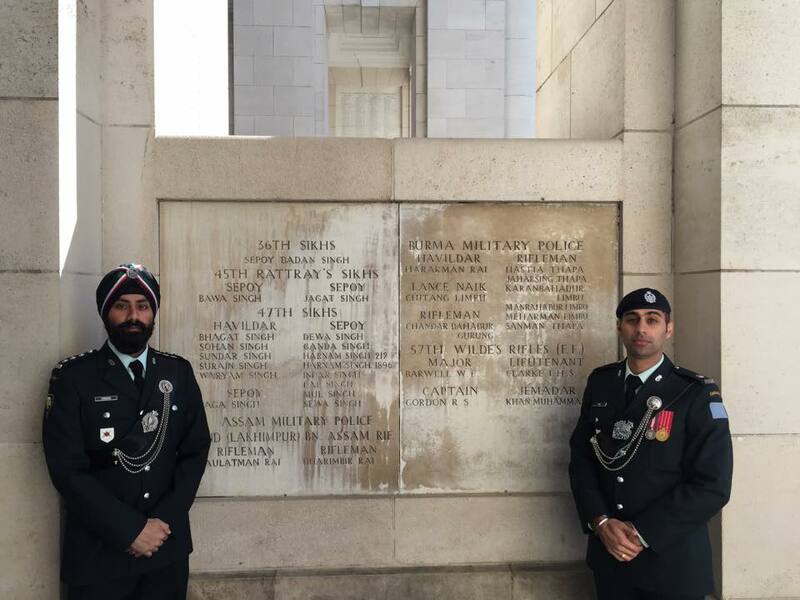 Amongst the inscriptions of the dead that have no known grave, are 6,500 Canadian and 450 Indian soldiers. 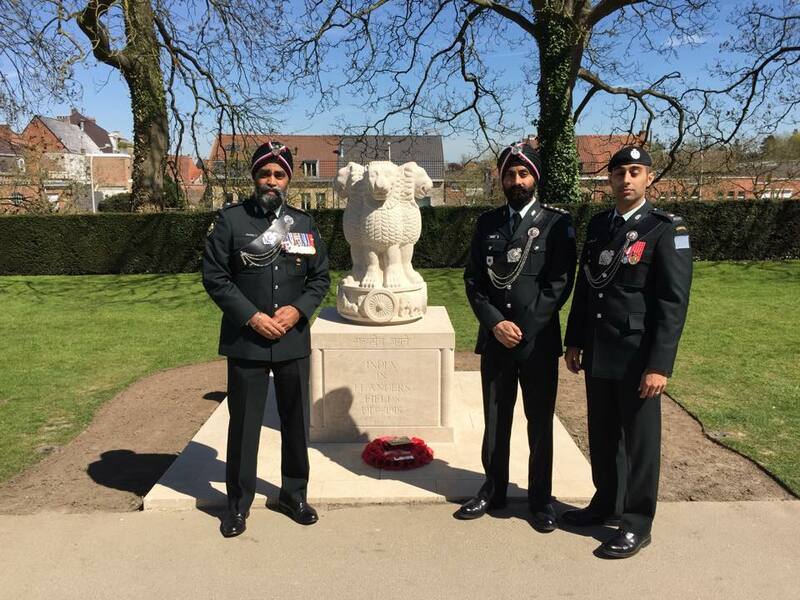 In a memorial to the Indian Corp at Neuve Chapelle, across the border in French Flanders, some 4742 Indian soldiers with no known graves are commemorated.